Pacific Ethanol Inc. (NASDAQ: PEIX) plans to buy Aventine Renewable Energy Holdings Inc., of Pekin, Ill., U.S.A., in a stock-for-stock transaction. With this transaction, Pacific Ethanol strengthens its unique production and marketing advantages by diversifying into two additional discrete markets and connecting its Western markets with Aventine’s Midwest and Eastern markets for low-carbon renewable fuels, says Neil Koehler, CEO of Pacific Ethanol. “This transaction will more than double our annual ethanol production capacity, and it will establish Pacific Ethanol as the fifth largest producer and marketer of ethanol in the United States,” he says. Under the terms of the merger agreement, Pacific Ethanol expects to issue approximately 17.75 million shares of its common stock upon closing in exchange for all of the issued and outstanding shares of Aventine’s common stock. Upon completion, existing Pacific Ethanol shareholders will own approximately 58% of the issued and outstanding shares of common stock of the combined entity, and Aventine will nominate two representatives to be named later to Pacific Ethanol’s board of directors, increasing the total board count to nine. Aventine will be operated as Pacific Ethanol’s wholly owned subsidiary. Aventine currently has USD135 million in term loan debt. 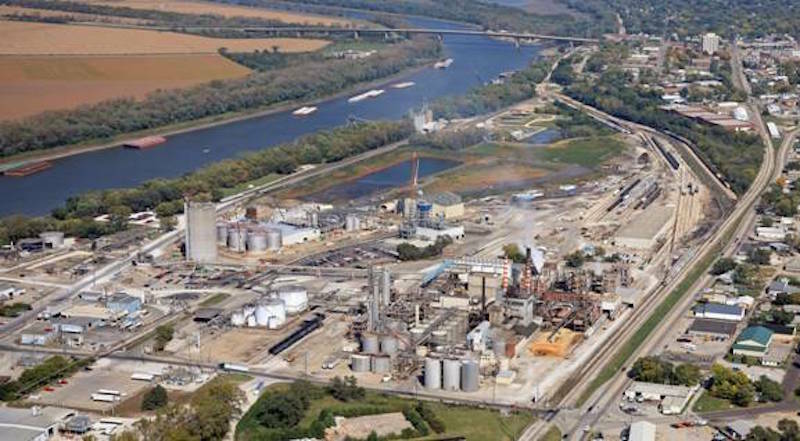 Aventine’s ethanol production assets include a 100 million-gallon-per-year wet mill and 60 million-gallon-per-year dry mill located in Pekin and a 110 million-gallon-per-year and 45 million-gallon-per-year dry mills in Aurora, Neb., U.S.A.
Headquartered in Sacramento, Calif., U.S.A., Pacific Ethanol operates and manages four ethanol production facilities, which have a combined annual production capacity of 200 million gallons, located in Stockton and Madera in the Central Valley and in Boardman, Ore., and Burley, Idaho, U.S.A. Combined with Pacific Ethanol’s current ethanol production capacity of 200 million gallons per year, the combined company will have a total ethanol production capacity of 515 million gallons per year. The closing of the transaction, which is expected to occur during the second quarter of 2015, is subject to customary and other closing conditions and regulatory approvals, as well as the approval of Pacific Ethanol’s and Aventine’s shareholders.